Denver Personal Injury 101: What Is Negligence & How Do I Know When It’s Occurred? Home|Blog|Motor Vehicle Accidents, Personal Injury|Denver Personal Injury 101: What Is Negligence & How Do I Know When It’s Occurred? A Denver personal injury attorney explains what negligence is. 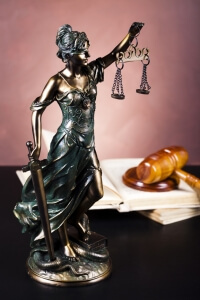 Negligence is a fundamental concept to personal injury law and cases. In general, negligence is a failure to act with the same level of care that a reasonable person, under similar circumstances, would apply in that situation. When negligence results in harm to another person, that person can pursue financial recovery from the negligent party via a personal injury case. For traffic accidents – Driver negligence, such as aggressive driving, drunk driving and distracted driving; manufacturer negligence, which can arise when defective vehicle equipment causes crashes; and other negligence, which can come into play when roadways are not properly maintained or when commercial carriers (like trucking companies) contribute to roadway hazards. For premises liability accidents – Property owner and/or manager negligence, which can come in the form of failing to fix broken features at the property, failing to warn visitors of hazards at the property, and even failing to provide sufficient security for the property. For other personal injury accidents – Negligence for other types of personal injury accidents and incidents can vary widely, with the specifics of the case being pivotal to determining the nature of the involved negligence. Individuals, including people of the general public, professionals, etc. Municipalities and other government entities. When negligence results in physical injuries and/or other harm to people, these victims – which can include families who lose loved ones to fatal personal injuries – can pursue justice and financial recovery via personal injury cases, as explained above. Punitive damages – in some cases. If you have been injured by negligence, you can turn to a Denver personal injury attorney at Bell & Pollock, P.C. for experienced help advocating your rights and pursuing justice.